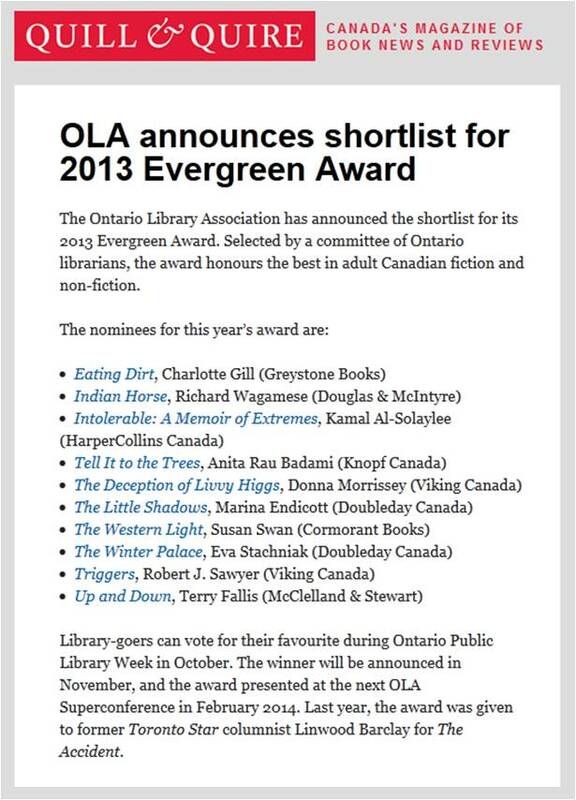 I was thrilled to learn earlier this week that Up and Down has been shortlisted for the 2013 Ontario Library Association Evergreen Award for “the best in adult Canadian fiction and non-fiction.” I am truly honoured. It’s wonderful to be on the list with such amazing writers as Eva Stachniak, Susan Swan, Robert J. Sawyer, Donna Morrisey, Marina Endicott and others. 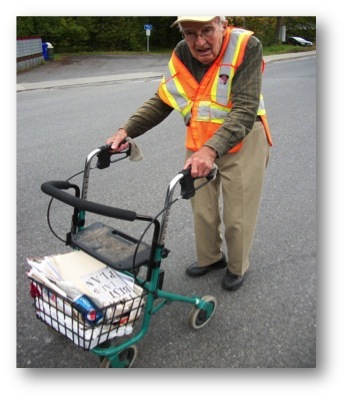 I gather library cardholders can vote during Ontario Public Library Week in October. I’m grateful to the Ontario Library Association for this unexpected recognition.